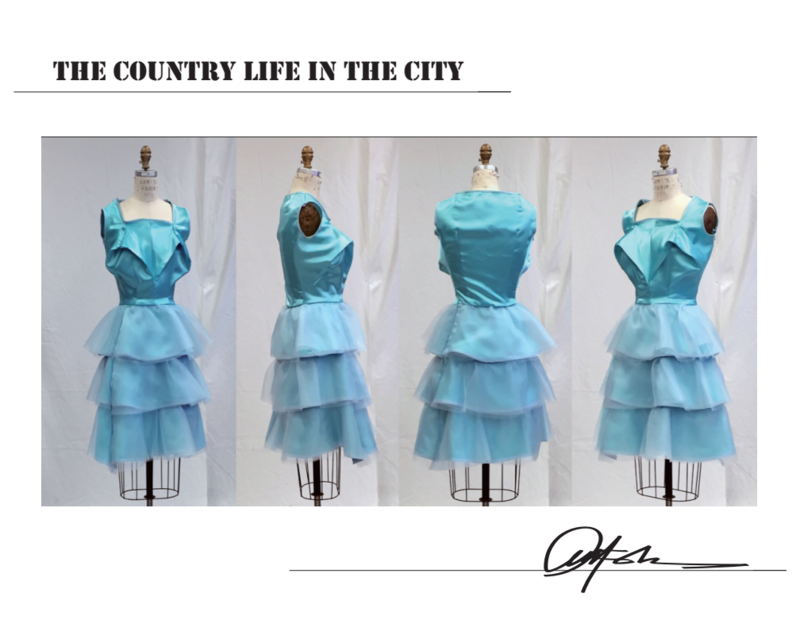 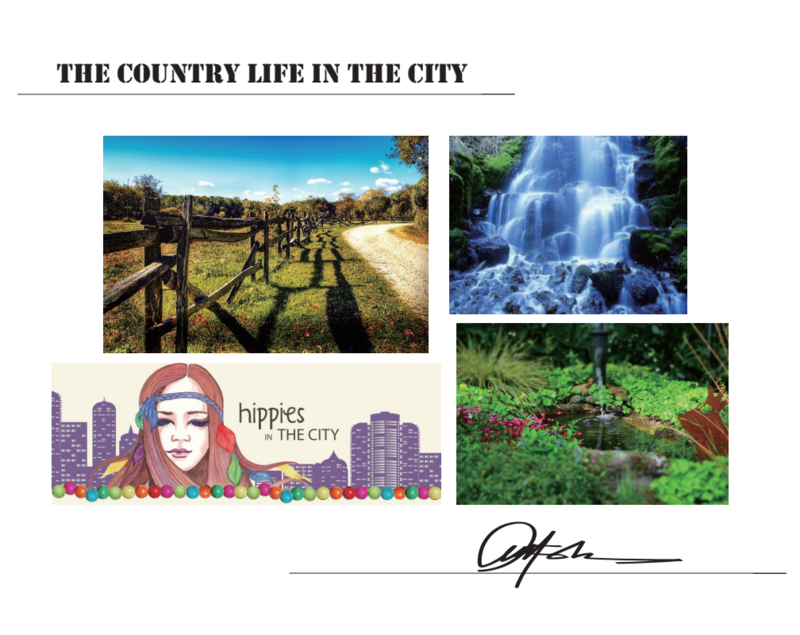 The Country Life in the City is inspired by the nature that I have observed in Michigan and also visiting New York in 2014 spring. 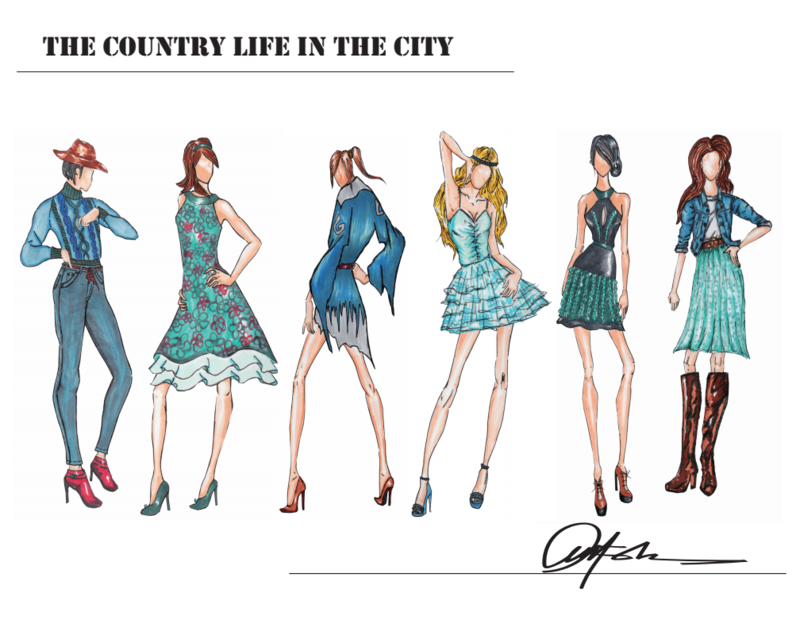 As I observed people on the streets of New York, my thought was how should I combine the styles of modern city women look into country lifestyle. 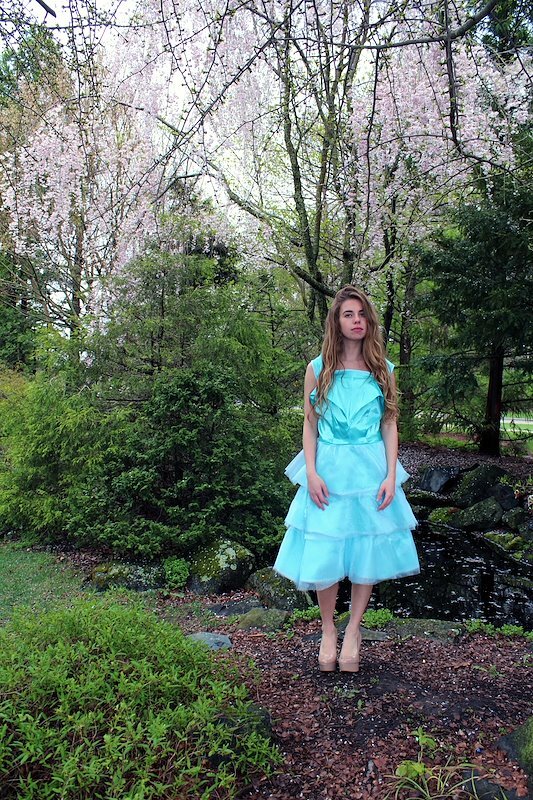 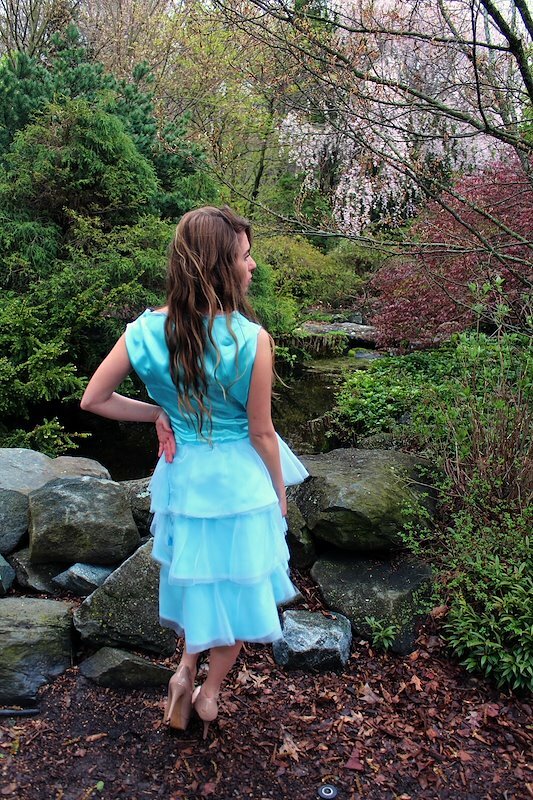 I think a dress would express my ideas properly by using the proper color-way to show waterfall movements.